Clear skies, temp over 50 degrees, sunny Saturday and no football…what to do? We decided to take an excursion to our area farmers markets including Atlanta State Farmers Market and Dekalb Farmers Market. 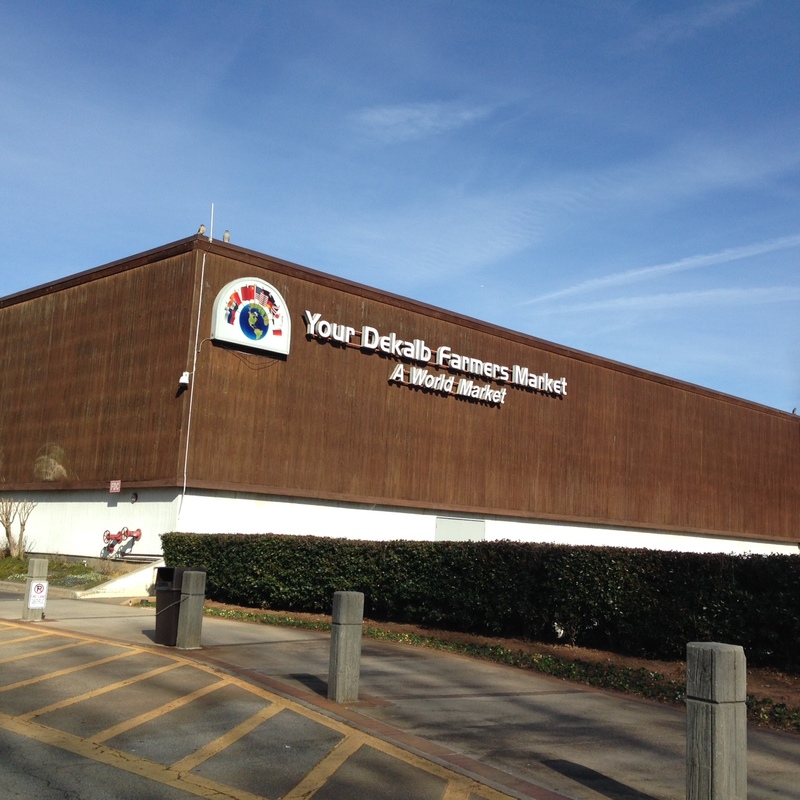 We headed down south of Atlanta to the state of Georgia’s farmers market. Since Georgia agriculture is primarily warm season fruits, vegetables, etc the selection was quite a bit smaller during the winter. 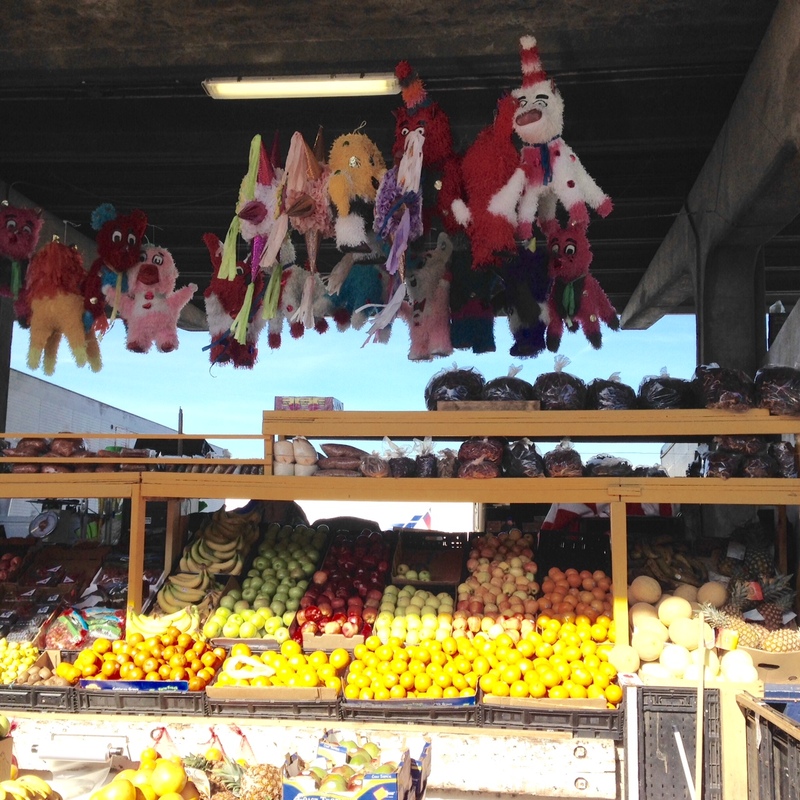 However we found several farmers with beautify produce including lots of peppers, apples, tomatoes and piñatas…what? Yep some of the farmers have interesting talents so why not grab what you need for some fresh salsa and get your aggression out on a cute candy filled piñata? Sweet! Next we traveled east on the perimeter and headed to the Dekalb Farmers Market. This place on a Saturday is PACKED! I imagine that its packed most days as the selection is fully international and everywhere we looked we found something yummy. When Anthony Bourdain visits a place you know there’s good stuff inside and that’s exactly what we found. They have an enormous seafood section including some of my favorites like whole red snapper and Georgia white shrimp. Their meat section is out of this world actually meats galore; they even have a rabbit and quail meat counter, bison section and make your own sausage casings. I picked up cheeses including fontina from Italy and peppercorn goat cheese from France. The produce was beautiful and fresh coming in from every region. We picked up some red seedless grapes, poblanos and serrano peppers for a little sweet and heat. The bakery includes two sections; baked breads and then you have the pastry counter! OMG too many treats and so little treadmill time. We took a peak at their spices and located a Jerk seasoning that hubby dried rubbed on chicken wings and smoked for a few hours before the games on Sunday. 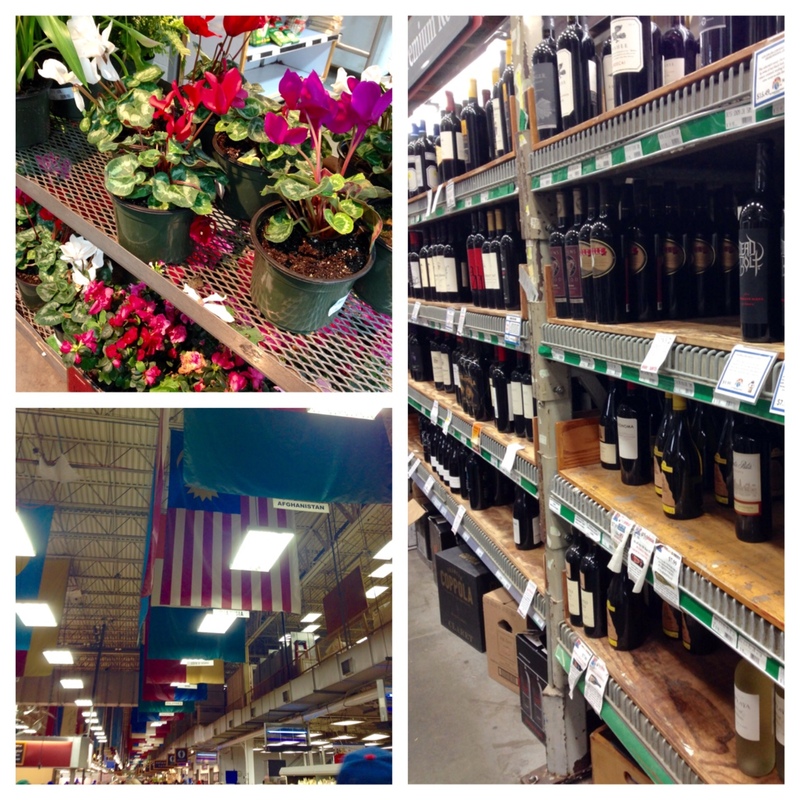 The Dekalb farmers market also has a beer and wine section which upon inspection a solid mix of US and imports that are exciting and pricing is competitive. If you are interested in a visit they are open daily from 9am -9pm and I suggest you bring cash as some registers don’t accept credit cards. We really enjoyed our little excursion to the local Atlanta markets and suspect that we’ll be visiting again really soon! We love to travel and of course love to eat so please tell us some of your favorite markets that we should visit as well! I wanna go!!! The Reading Terminal in Philly is fun! 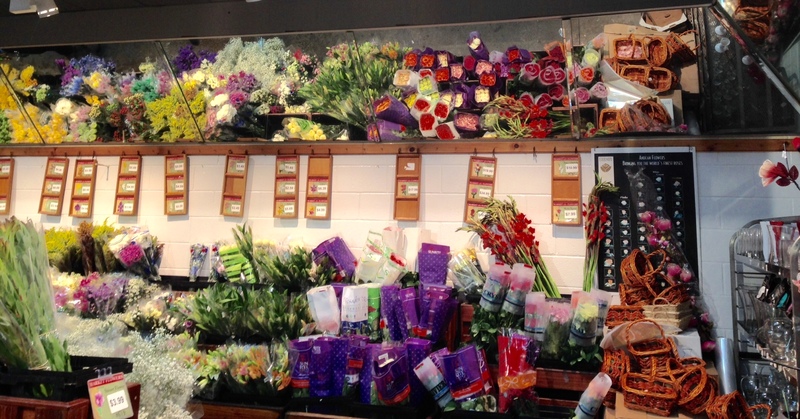 And the Santa Monica farmer’s market has flowers to die for and surprisingly inexpensive. I’m in Philly often so I’ve added it to my list. Won’t be out west until summer but will try to swing by Santa Monica to grab sime flowers for my grandmother whos turning 90 and the party is in Hunington Beach! Great suggestions thanks! That sounds awesome! We have a farmers market where I live every Saturday during warmer months. It is awesome. I can’t imagine how much better this one is. Were their any handcrafts at this market? Farmers Market Finds features these artisans on our blog and social media pages so we are always on the hung. Thanks for sharing. Follow us at http://www.farmersmarketfinds.com.